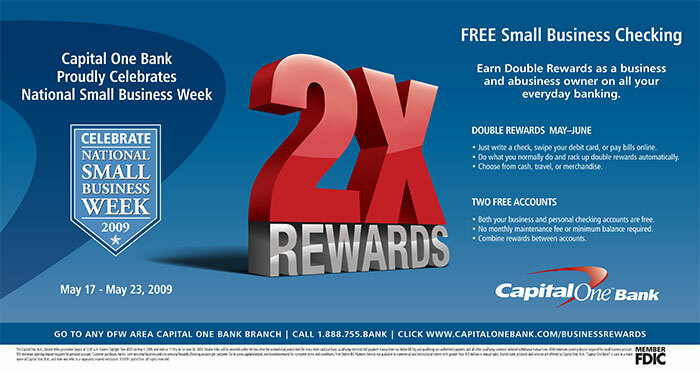 Assignment: The Small Banking Marketing team engaged me to develop an icon for the bank's support of National Small Business Week. Additionally, I was asked to develop a system of how that icon would work within our current ad template and in-branch. Note: This ad and the 2X Rewards icon are part of an existing campaign that I did not create. 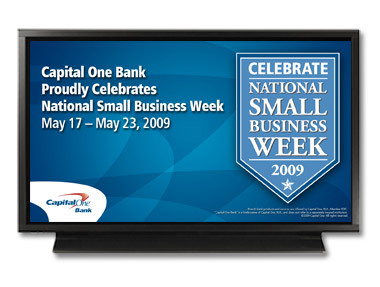 This ad shows how the National Small Business Week icon I created lived within that ad during the promotional period.